Both as a yoga practitioner and as a teacher I am interested in being patient and non-judgemental, finding comfort and feeling at ease within one’s body, and with oneself. Central to my classes is an acceptance of where each student is with their own Yoga so that practice is nurturing and without struggle; students are encouraged to be attentive to how they are experiencing themselves and their yoga today, at this moment. As well as adult classes, some of the more specific groups I work with include: the Over 50s, children in schools and nurseries, teenagers, families and one-one clients . Contact me directly for further information about any of my classes, to discuss private lessons or to find out more about yoga classes for specific groups. 2.45 – 3.30 pm, Chair Yoga for the over 50s, £5 Drop In. A gentle chair based class of yoga movement, breath awareness and relaxation. All welcome including complete beginners. 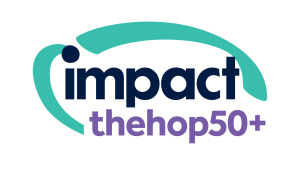 Proceeds from these over 50s classes, after costs (tutor fee and venue rent), go to the Hop 50+ project, supported by Impact Initiatives. 3.40 – 4.40 pm, Yoga for the over 50s, £6 Drop In. This class will include gentle yoga movement, breath awareness and relaxation in sitting, standing, and moving down to and up from the floor. Yoga mats are provided.